Justin Bieber is currently involved in three different criminal investigations in two separate countries, but he's not letting that ruin Super Bowl weekend! According to TMZ, the 19-year-old pop star chartered a private jet Friday, Jan. 31, from Canada for the big game on Sunday, Feb. 2. Justin is allegedly planning to attend some pre-game parties and he brought along some friends for the ride, including his dad Jeremy Bieber, 38. Well, we can only hope that Justin behaves himself while in New Jersey this weekend. We can't imagine he'd want to be involved in a fourth investigation. 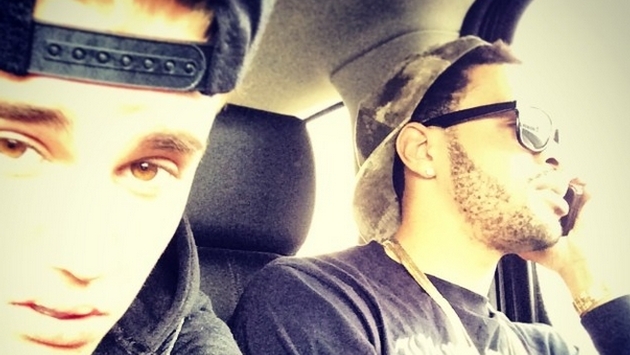 Do you think it was a good idea for Justin to travel to New Jersey amid his legal woes? UPDATE: Justin Bieber’s personal plane, headed to New Jersey for the Super Bowl, was held at Teterboro Airport on Friday afternoon under suspicion it was carrying marijuana, law enforcement sources said. The plane had just arrived at 2:53 p.m. from Toronto when authorities detected what was described as a strong odor of pot. The plane, believed to be a twin-jet Raytheon Hawker 800, was ordered held until drug-sniffing dogs could check it out. TMZ claims that all passengers were released after no drugs were found.